Teams look smart and professional when they all wear the same gear and these beanies will add a touch of warmth on those cold winter days. Choose from black, white and red or gold, white and bottle to uplift and add a wow factor to the look. The design has a solid body colour with a two-tone trim around the base. It is made from a warm and heat retaining acrylic kniw which can be hand washed or machine washed with a soft detergent. Your beanie will never fade and will keep you cosy through many seasons. All our fashion items are made to the highest standards and are quality checked throughout the manufacturing process. Superior stitching techniques and construction techniques are used to produce top quality items. 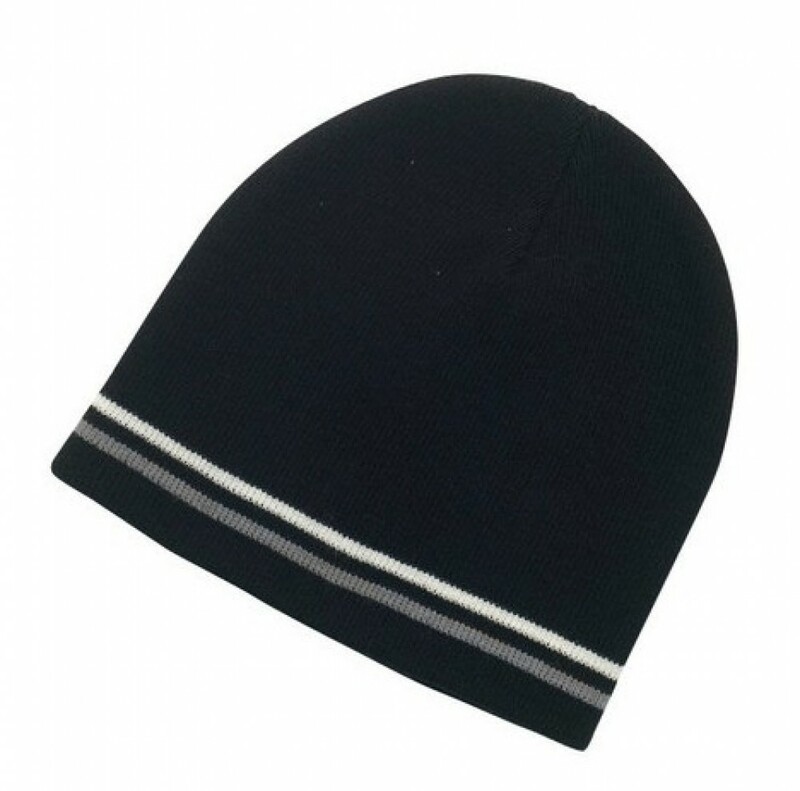 Get your corporate brand, team logo or school emblem showcased on the beanies when you embroider your unique logo and graphics onto the front or back.